The NLC increases access to care while maintaining public protection at the state level. Under the NLC, nurses can practice in other NLC states, without having to obtain additional licenses. To access your board of nursing website and license application, select your state from the drop-down. You can also download the NLC Map and the list of participating states. Members: NCSBN has developed numerous resources to help boards of nursing enact Compact legislation. 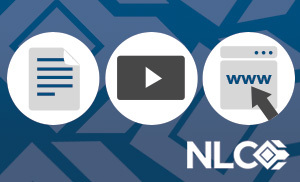 Contact us with any comments or questions concerning the NLC.